December begins tomorrow which means the holidays and the new year are upon us! This holiday season is the perfect time to book your stay in Emerald Isle. 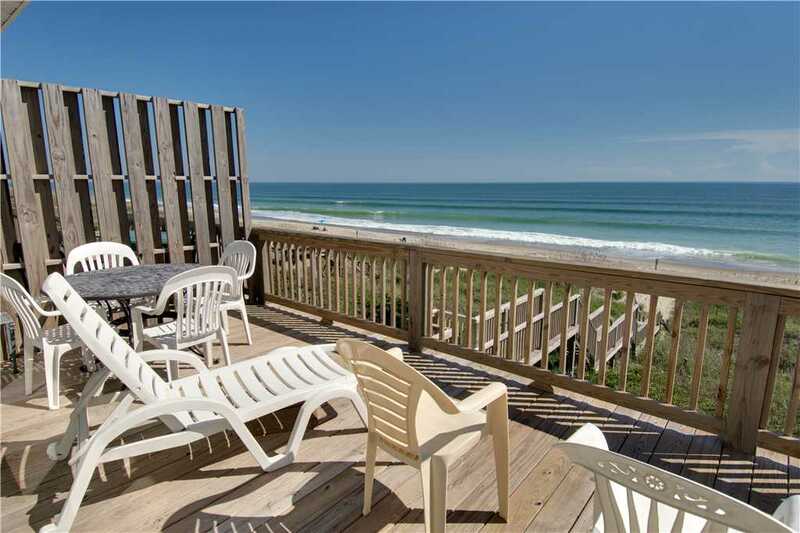 Today’s featured property is beckoning you to schedule your holiday vacation because nothing beats a winter getaway along the coast of Emerald Isle. 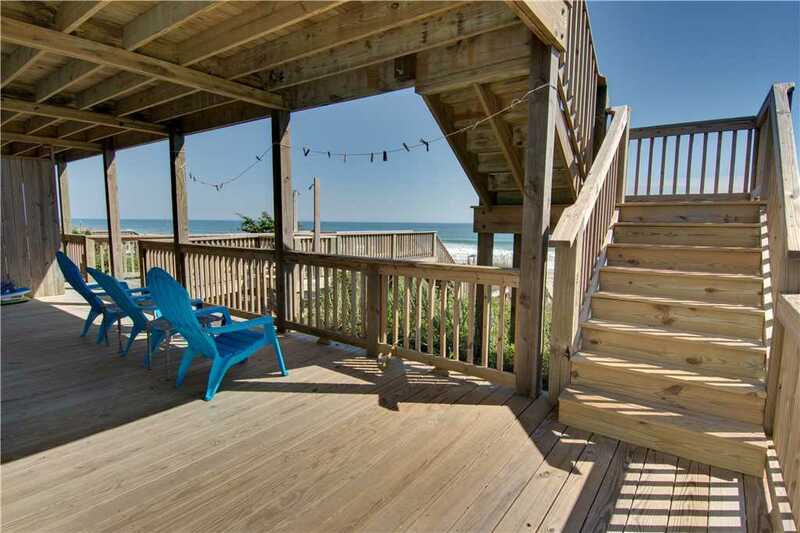 Our featured property, Lighthouse West, is a quaint oceanfront duplex located on Ocean Drive. It has 4 bedrooms, two of which have deck access, and three bathrooms. 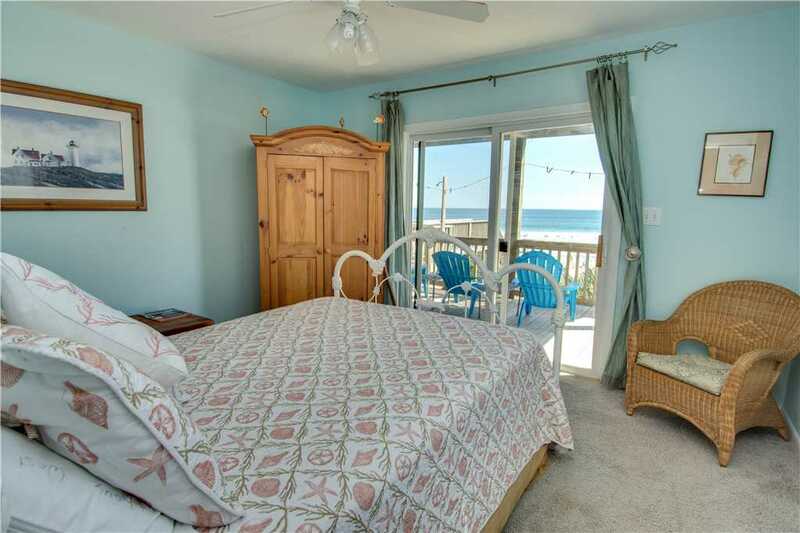 Two of the bathrooms are privately attached to the oceanfront bedrooms. Linens are provided upon arrival by Island Club linens, making your trip a little bit easier when you arrive. There are also ceiling fans throughout the house to keep you feeling cool. 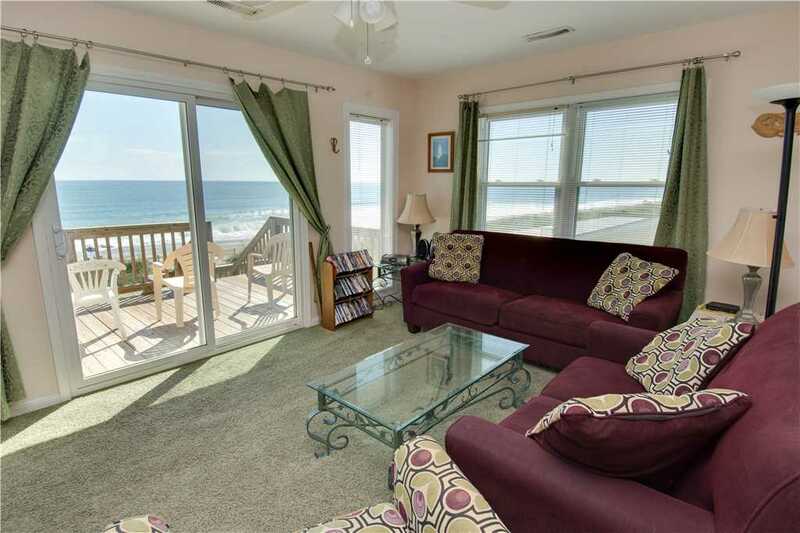 The living room has plenty of seating and one of the best views of the ocean in the entire house! As you whip up something for an evening dinner, your entire family can sit together at either the bar or dining room table, which seats up to a total of 12 people. 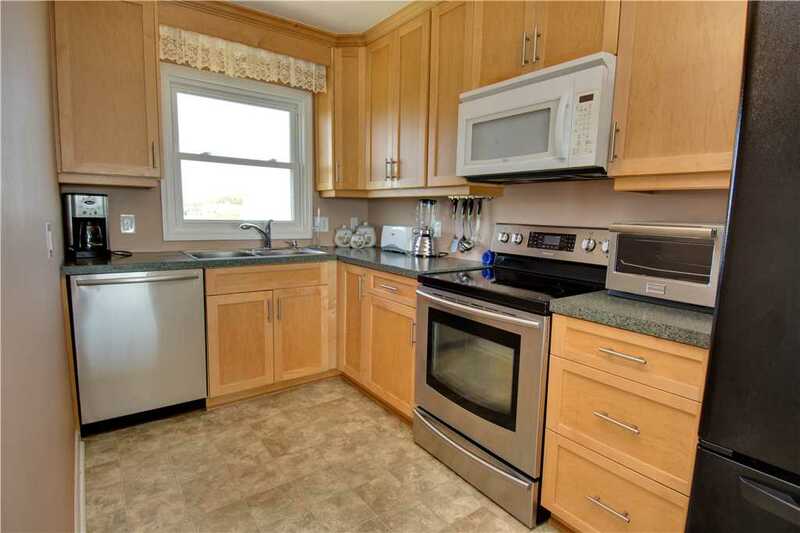 The kitchen is furnished with a full-sized refrigerator, dishwasher, microwave, oven, and electric stove. When spending time inside, there is always something to keep you entertained. You can watch television on one of the five flat screen TVs placed throughout the house, or pick out a movie to watch from the DVD library and pop it in the DVD Blu-ray player. If you want to relax and listen to some holiday music, bring out your favorite CD and play it on the stereo system. You will never have to miss your favorite classic holiday movies and tunes! 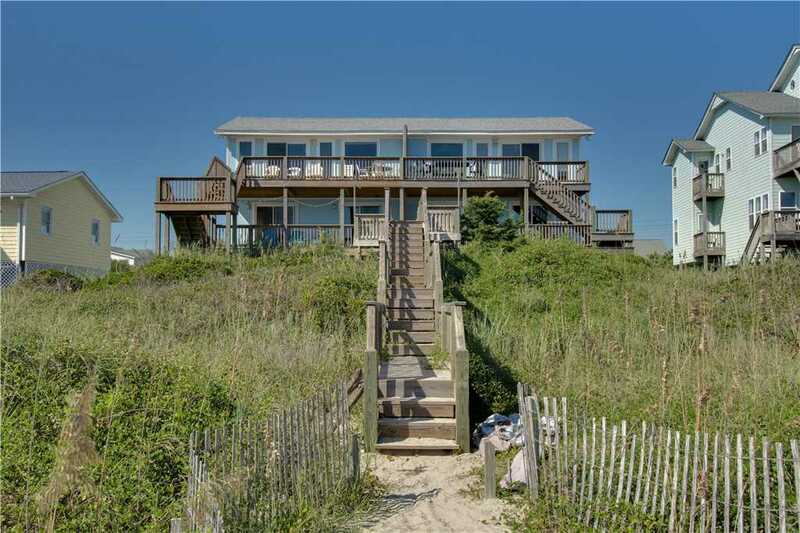 What makes this property one of a kind comes from the exquisite ocean views from every level of the cottage along with the peaceful private boardwalk to the beach. The reverse floor plan offers great views from the upper deck of the house. There are covered and open decks attached with furniture on each level. 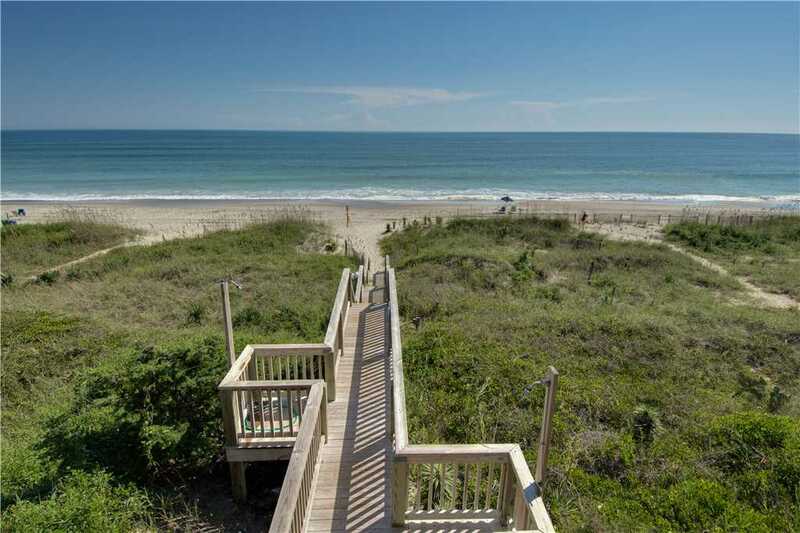 The private boardwalk to the beach offers direct, easy access and a private shower along the way to rinse off. 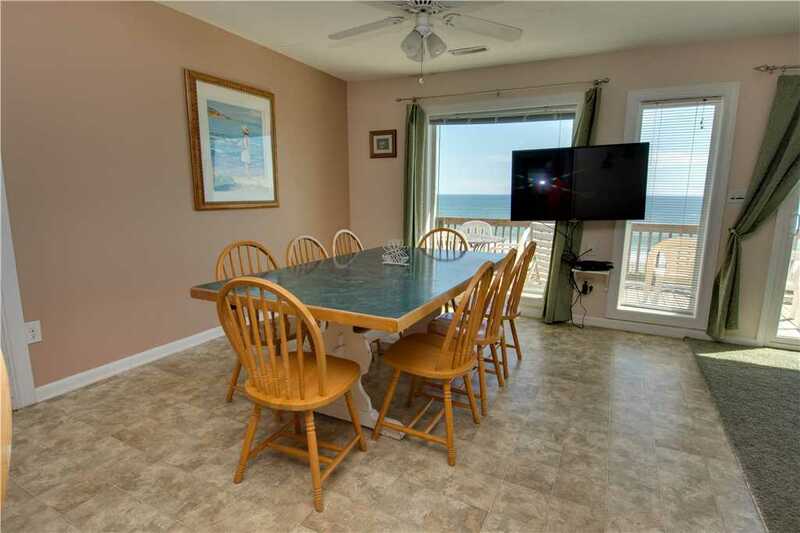 Lighthouse West is the ideal rental for your next family vacation with endless ocean views, ample amounts of space, and comfortable amenities.  View additional property photos and contact us today to book your stay today!